Are you WAY too familiar with the smell of your dog’s ears? Does he keep you up at night shaking his head and scratching? It’s not normal for a dog’s ears to smell, itch, or feel hot. Healthy ears have no outstanding odor and no unusual discharge. Every day that your dog’s ears are inflamed can cause permanent damage to the ear canal. It can also make future infections more frequent and severe. Staying on top of an ear infection can prevent a lifetime of chronic ear problems….and can even save your dog’s hearing. Here’s how an ear infection occurs. The ear canal is lined with glands that produce wax and keep the ear canal moist. It’s normal for a small amount of bacteria and yeast to live in the waxy coating that lines the ear canal. If the ear is healthy, these microorganisms are naturally kept in check. But when something happens to cause changes inside of a dog’s ear, this careful balance is disturbed. As the cells of the ear canal become swollen with inflammation, the ear canal narrows and warms up. When things heat up, the wax glands begin to produce more wax. Warmth and additional living medium….it’s a perfect incubator for normally harmless bacteria and yeast. Populations increase rapidly and before you know it, you have a bacterial or yeast infection. Every time a dog’s ears become inflamed, the ear canal gets narrower and scar tissue is formed. Recurrent inflammation causes wax glands to continually produce more wax. A self-perpetuating cycle of inflammation, moisture and infection becomes very hard to break – and very difficult to treat. Bacteria and yeast can eventually spread into the middle ear, infecting the space behind the ear drum. This is very painful, must be treated surgically, and can cause deafness. To avoid this cycle, it’s important to catch ear infections in the early stages. Quick diagnosis and treatment with a prescription ear medicine can put a quick end to the infection – and often an end to the story. If your dog suffers from recurrent ear infections, the key to breaking the infectious cycle is preventing inflammation. Find the root cause. If allergies are at the root of your dog’s ear infections, work with a veterinarian to bring them under control. Swimming can also trigger ear infection, but it’s not just the water that’s the issue – swimming breeds like Labs and Golden Retrievers tend to be allergy prone dogs. Genetics also play a role. 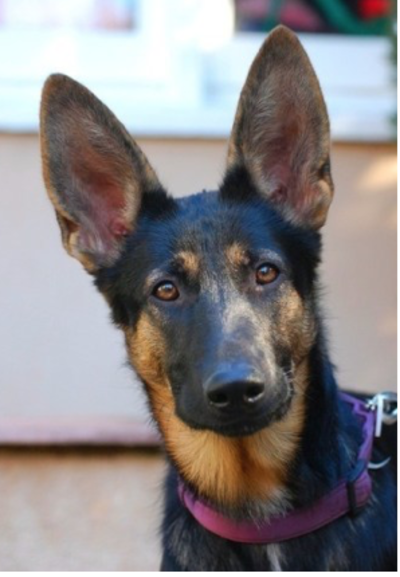 Some breeds have ears that produce larger and more numerous wax glands. The Cocker Spaniel would be one example. Whether the cause of your dog’s chronic ear infections is allergies, genetics, swimming or some combination of all three, the treatment is the same. You must fight heat and moisture by keeping your dog’s ears clean and dry. Your veterinarian can recommend a product to help with this, as well as demonstrate the proper way to clean a dog’s ears. Do it regularly. Please change to an alternate product if cleaning leaves the dog’s ears red, warm, or irritated. Take care of your dog’s ears. Their amazing hearing is part of what makes them a dog!